…and just about every holiday. Some people will say it is pregnancy hormones or something must be bothering me. 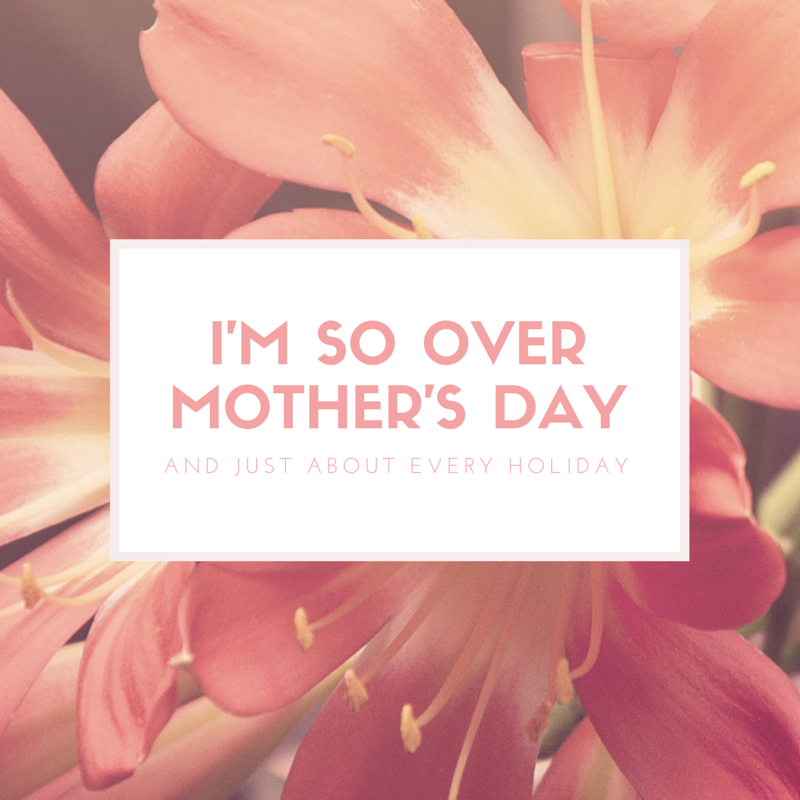 Honestly, it is not really Mother’s Day, but the way holidays are generally portrayed in the media. Families are thrown into all types of ads, and although they highlight the importance of being together, there is a sense of “buy this for the ones you love this holiday.” Yes, people enjoy gifts, but what about the gift of life? Maybe the gift of happiness? And better yet, the gift of simplicity? Call me old-fashioned, but I think the perfect gift for any holiday is downtime. We spend all year preparing for when our family comes over that we sometimes forget to have a great time. I miss getting together with my cousins for the holidays and just being carefree and goofy. Is that not what life is about? Yes, we bought things for each other like candy and ice cream, but that was pretty much it. We did not need a special gift. And when we went out and bought something else, it was because we knew the other person really needed it.